Check our latest projects and how every item is polished carefully with a great result, because we know that the looks bring the first impression. 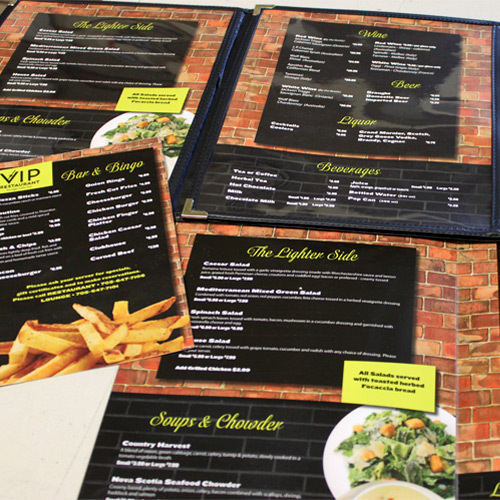 "Our selection of menu printing options includes a wide variety of sizes, paper stock and finishing options. 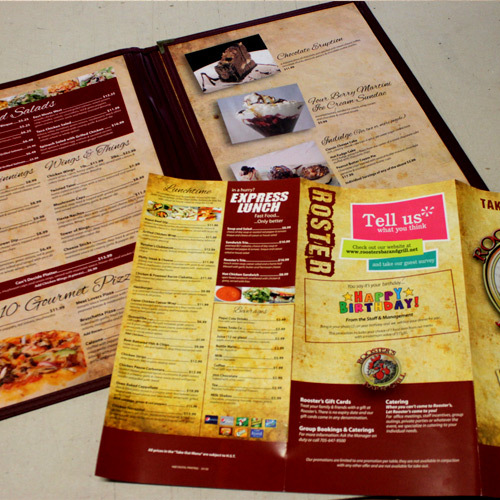 We have the perfect printing solutions for your restaurant menu needs. 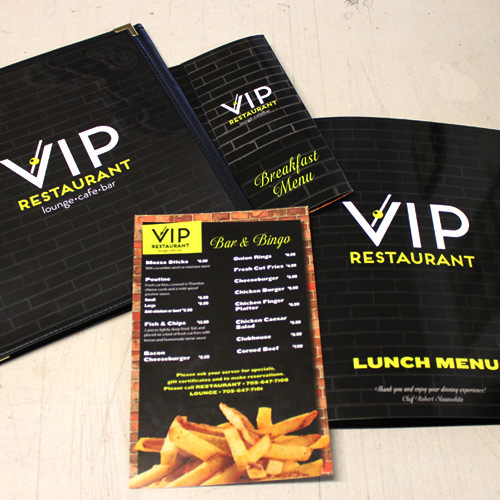 Get the word out with high quality full colour menus. 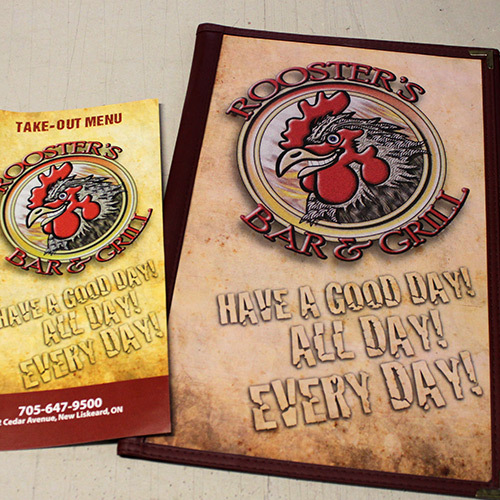 Take-out menus are great advertising materials for promoting your restaurant. You can give them out like flyers and include copies of your take-out menus with your delivery orders." © 2013 • A&B Digital Printing • All Rights Reserved.